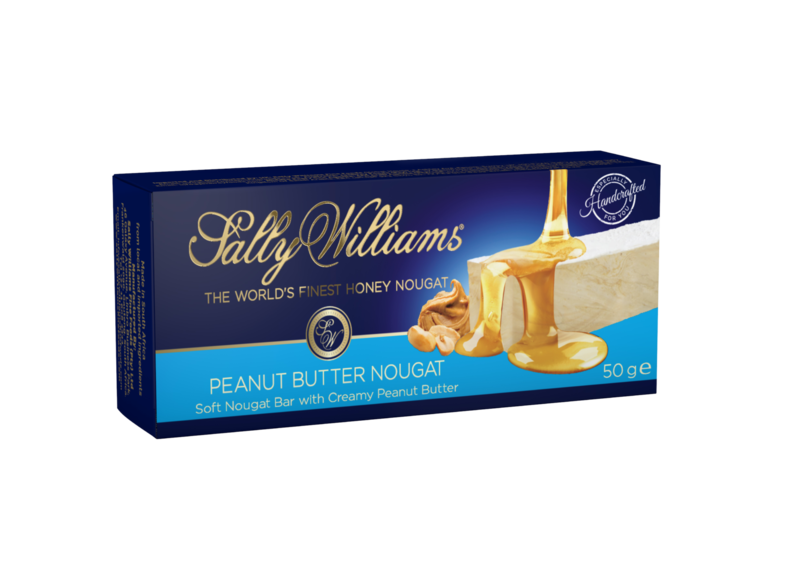 Soft honey nougat with crunchy peanut butter hand crafted according to the original Sally Williams recipe from the finest ingredients. Made in South Africa from local and imported ingredients. Allergens: Peanuts and egg. May contain: Sulphur dioxide and tree nuts. Ingredients: Glucose Syrup (Corn derived), Sugar, Peanut Butter [Peanuts, Sugar, Stabiliser (E471), Salt], Peanuts, Egg White, Honey, Wafer Paper [Potato Starch and Vegetable Oil (Olive Fruit)], Flavouring, Corn Starch.